Newcastle-under-Lyme College is a federated partner of Staffordshire University and was formed as a tertiary college in 1986. The college serves the education and training needs of Newcastle-under-Lyme, the conurbation of Stoke-on-Trent and the Staffordshire Moorlands. The Newcastle-under-Lyme College works closely with the City of Stoke-on-Trent Sixth Form College and Stoke-on-Trent College in attempting to raise levels of educational achievement. All of these colleges are within four miles of one another. As a result of collaboration, there has been a rationalization of provision: art and design is offered at Newcastle-under-Lyme College whilst performing arts is offered at Stoke-on-Trent College. The College also runs community based programmes as well as apprenticeship programmes. The community- based programs aim at the upliftment of the communities based on research studies. A good example is the wetland project at Durham County. The Newcastle-under-Lyme College conducts apprenticeship programmes for young people between the age of 16-24, which allows them the opportunity to learn and earn at the same time. As part of this programme, a student can spend one day per week at college and four days of the week working in a local company. 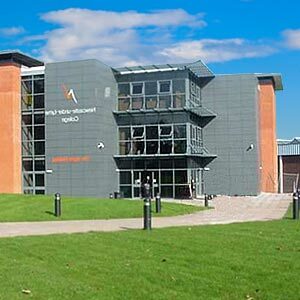 Students at Newcastle under Lyme College can choose from diverse educational areas such as mathematics and engineering to business and communication technology. You can enroll in courses on hospitality, hairdressing, health care, humanities, visual media as well as English and modern foreign languages.